I have three children; two girls and a boy. I often hear the phrase “boys will be boys” and find it a bit unsettling that my boy doesn’t act the way society tells us boys are supposed to. My girls are my wild ones, while my boy is sweet, sensitive, scares easily, and loves with his whole heart. 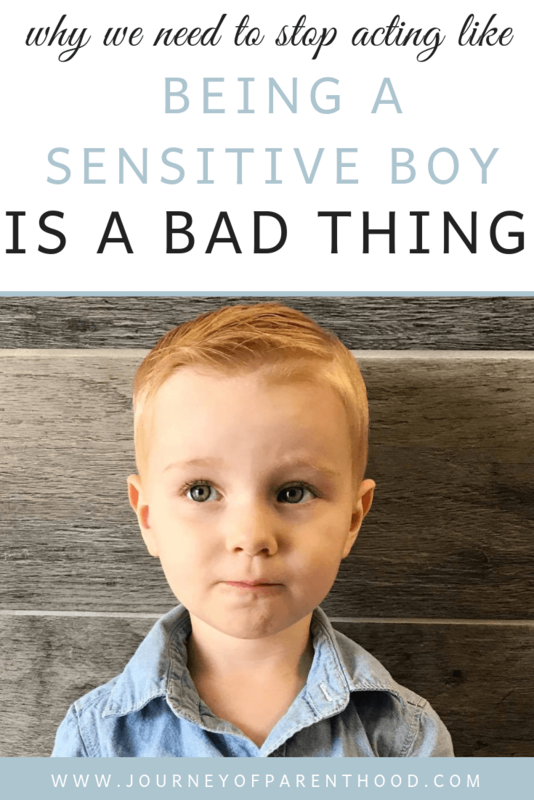 If you have a son who is sensitive like mine, you have probably felt a variety of emotions. What I want to tell you today is that a highly sensitive boy is not a bad thing. It is not something we need to fix or change, but we DO need to parent our sensitive children a bit differently than our other children, boys included! We literally cannot control our emotions. Sure, we can control the way we respond to these emotions, and we can (and should) work on managing our emotions well. However, we cannot control the way we feel about things emotionally any more than we can control how we feel about things physically. If you have a high pain tolerance and touch a hot pan, it might not feel that bad. If you have a low pain tolerance and you touch the same hot pan, the pain will feel more severe. Just the same as physical feelings, people experience emotional feelings in different ways. Some people (myself included) aren’t overly sensitive. Then, there’s the 20% of the world that are Highly Sensitive People. I did not make that up; it’s a real thing. Highly sensitive people feel everything more deeply than the rest of us. Their sensory processors are overly in tune and it impacts the way they feel. Whether it’s joy, pain, sorrow, fear, stress, a highly sensitive person will feel all of the feels much more than a non-highly sensitive person. Related: Are You a Highly Sensitive Person? While the data shows that 20% of the population is highly sensitive, it shows no discrepancy between males and females. This means that about 10% of our boys are highly sensitive. YOU GUYS. Society tells us that boys should not be sensitive, but the data is showing us that there are boys out there (a lot of them!) who actually ARE sensitive! What the what? It is difficult to be a sensitive boy in a world that sends the message that sensitive is less than; that sensitivity equals weak. 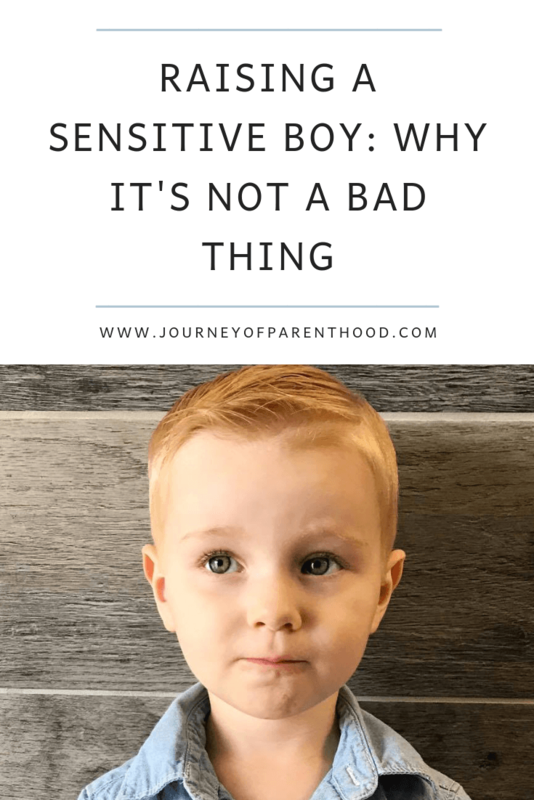 It is also difficult to navigate the waters of parenting a highly sensitive boy. I can remember a very specific example. I was in labor and started yelling at my husband mid-contraction because he didn’t get to my bedside within .2 seconds when I asked him to. He told me, I swear to you, to calm down. He. Told. Me. To Calm. Down. When I was having a contraction! Lord have mercy. Yes, we are still married and I love him dearly, but for the love! Do you want to know what I didn’t do? Calm down. I did not calm down. I actually became more enraged. The problem with telling boys to toughen up, or stop crying, or man up, or whatever phrase you choose, is that it doesn’t work. In fact, it often has the opposite effect because when we feel as if our emotions are invalidated it causes even more upset. What Do We Do With Sensitive Boys? I’m not saying we just let them be out of control with their emotions. I don’t think we should let girls be out of control with their emotions either, but that’s a post for another day. We need to find a balance with our sensitive children between protecting their hearts and giving them the skills to cope with their emotions. Oftentimes we find ourselves leaning to one extreme. We either coddle them or tell them to toughen up. Neither one of these is the best solution; you should strive to find a balance between the two. 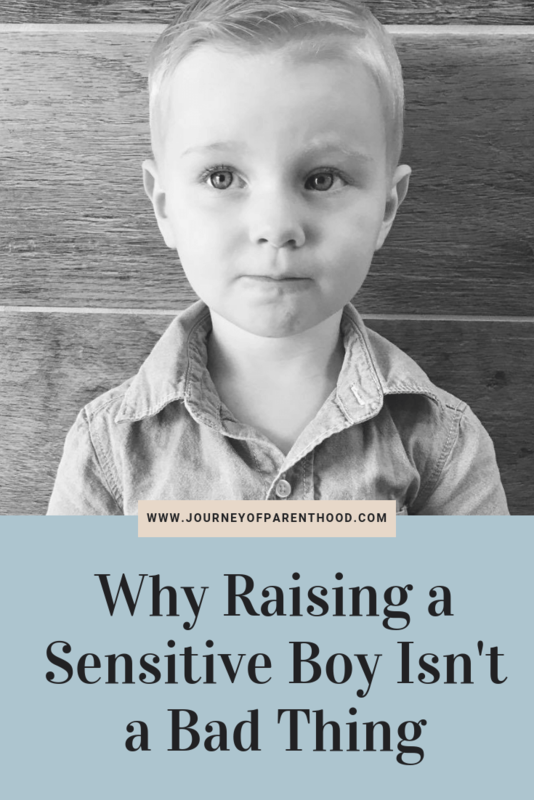 We should absolutely, by no means, make our boys feel weird or wrong for having these deep feelings; instead, we need to teach them to manage them so that they can thrive. In fact, highly sensitive people tend to also be highly gifted. If parented correctly, a sensitive boy can learn to thrive and handle his emotions well. Sensitive people have many positive qualities that non-sensitive people don’t. Let’s please fight the stigma and stop acting like a sensitive boy is a bad thing! Caitlin is a stay at home mom to three little ones, identical twin toddlers, and a preschool-aged boy. 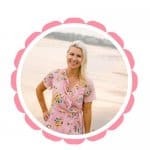 She blogs about all things twinning and parenting over at www.TwinMomandMore.com.